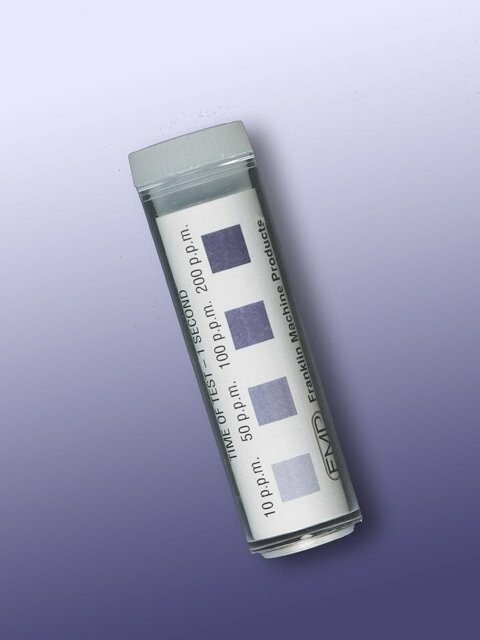 Strips chemically treated with starch and cadmium iodide measure total chlorine to determine the strength of sanitizers in cleaning solutions. Strips and color chart come supplied in a waterproof plastic vial. This product was added to our catalog on 03/28/2007.